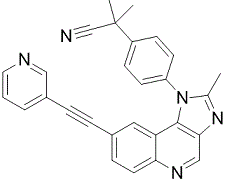 PDK1 inhibitor is a potent and selective inhibitor of PDK1 with IC50 of 6 nM. 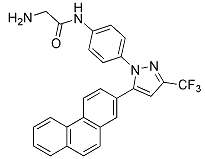 Potent 3-phosphoinositide-dependent protein kinase (PDK1) inhibitor (IC50 ~ 10 nM). 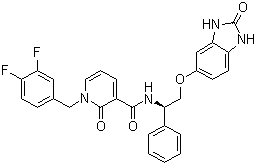 NVP-BAG956(BAG 956) is a potent, ATP-competitive and selective dual PI3K and PDK1 inhibitor in vitro and in vivo,with IC50 values to be 56, 444, 34, 117 and 240 nM for PI3K p110 alpha, beta, delta and gamma and PDK1 kinases, respectively. BX795 is shown to be a specific and potent inhibitor of IκB kinase ε (IKKε), phosphoinositide 3-kinase 1 (PDK1), and TANK-binding kinase 1 (TBK1). 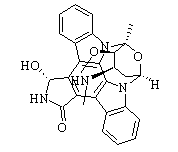 OSU03012; also known as AR12, is an orally available, targeted anti-cancer agent that has been shown in pre-clinical studies to inhibit PDK-1,OSU-03012 is a recently licensed novel derivative of the cyclooxygenase-2 (COX-2) inhibitor celecoxib . BX-912 is a inhibitor of 3-Phosphoinositide-dependent Kinase-1 (PDK1).